Importing customers with their company contacts and associated sites is a quick way of adding large quantity of customers to Loc8 at one go. 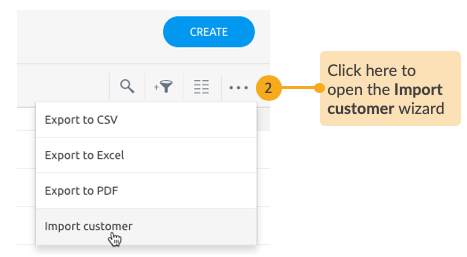 For importing customers, you need a CSV file, which is essentially a spreadsheet containing your customer details, but in a layout that matches Loc8's recommendations for successful import. If you face any trouble importing customers, please take a look at the Troubleshooting tip at the end of this article. You can also download a sample CSV file from the import wizard (discussed in section below) to skip adjusting the headers yourself. This order ensures that your customers are correctly linked to their contacts and sites. 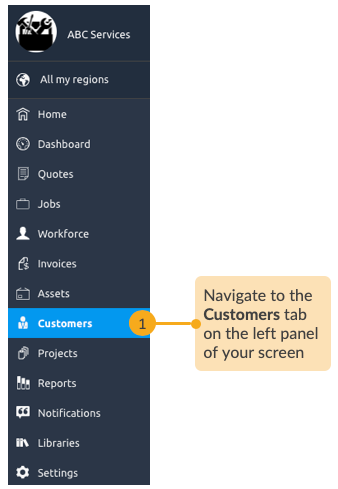 This column must be filled only for ADD CUSTOMER CONTACT and ADD SITE actions. The value entered in the CUSTOMER REFERENCE column must be the same as that provided in the customer's ID. When you do so, the new contact and new sites get linked to the customer through the specific customer's ID. You are importing a new set of sites and customer contacts for a customer who is already added in Loc8, in which case you will only have a series of ADD CUSTOMER CONTACT and ADD SITE actions without the ADD CUSTOMER COMPANY. 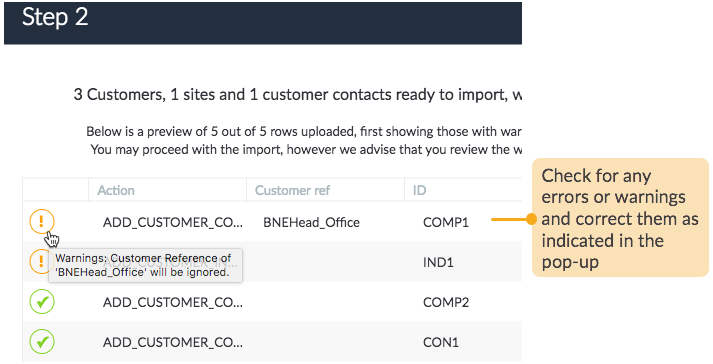 The customer ID entered for each of them under the CUSTOMER REFERENCE column will correctly link them together during import. This column must be filled only for ADD SITE action. The value entered in the SITE CONTACT REFERENCE column must be the same as that provided in the Customer Contact's ID. When you do so, the new site gets linked to the customer contact. In a way, you are indicating that -- on import, this particular customer contact should be added as the site contact. The maximum size limit is 1000 rows. If you need to import files larger than that, you need to split it up and do multiple imports. The import only supports one value per cell. Your spreadsheet must be on Sheet1. Your spreadsheet shouldn't contain any formulas, charts or blank rows. Your spreadsheet shouldn't contain any errors (like #REF!, #NAME?, #N/A or #. VALUE!). Names shouldn't contain colons (:) or quotation marks ("). STEP 1 Go to the Customers page. 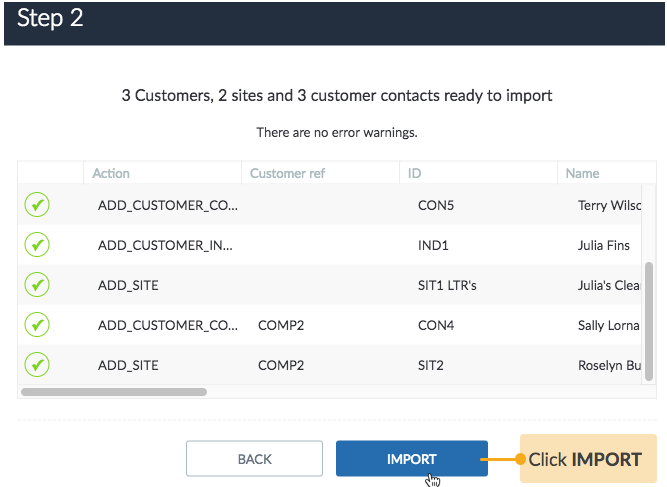 STEP 2 Open the Import customer wizard. 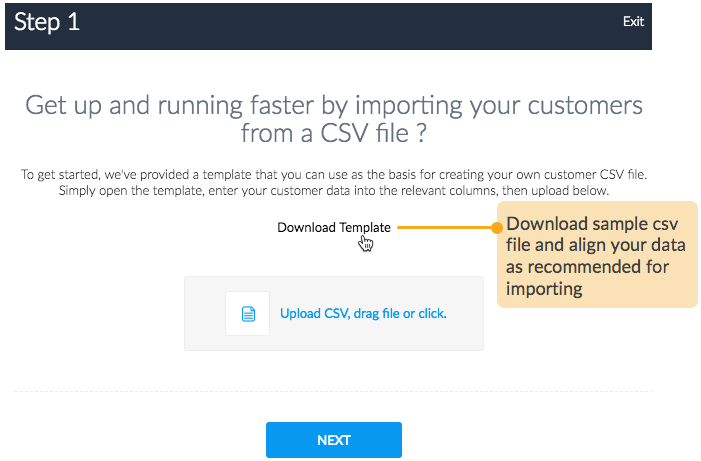 STEP 3 Prepare your spreadsheet to match the recommended headers and cells required for importing your customers, contacts and sites. STEP 4 Upload your prepared spreadsheet and correct errors if any. In case your data doesn't match the layout recommended for import, you'll see the errors and warnings list as shown below. You have to correct the errors to proceed. Warnings do not stop import, but you may miss out associations between the customer, and its contacts and sites that you wish to retain after importing. Done! You will find the imported customers, the new sites, company contacts and site contacts under the Customers page. 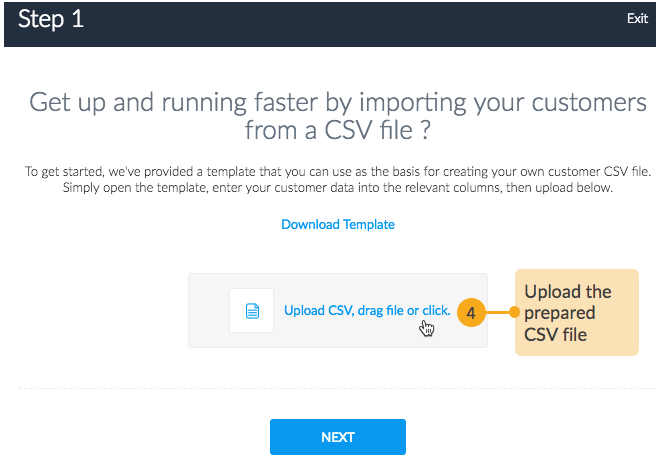 Problem: You are trying to upload all your customers using the CSV template and get the following message: "Analysed cancelled. No customers to import and no errors found", although you have saved the file with extension .CSV and followed the necessary headings, and left no empty row below headers. Solution: Please download the template and fill in your columns once again. That helps to discard any corrupt entries and sorts the problem.